Our 2019 Teacher Training will begin in April 2019. Join us now to start your journey on the mat of becoming the Yoga Teacher you have often dreamed of being. 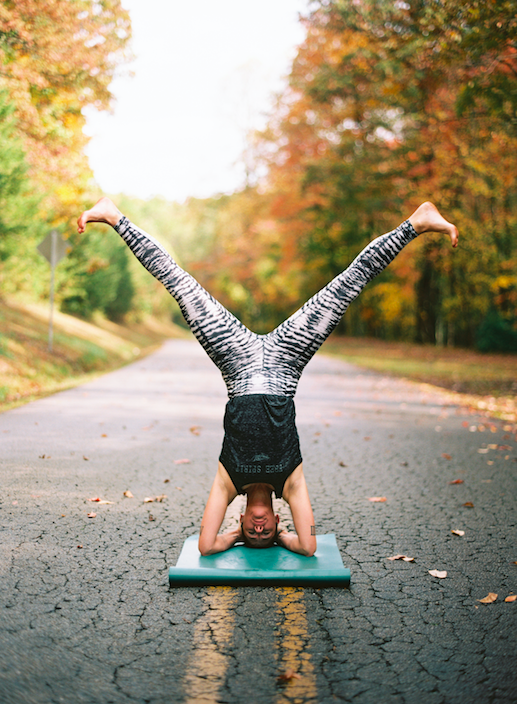 Live the life you truly want by sharing your love of Yoga. Below are the dates for the entire program. Each weekend will cover many topics so just a reminder that you MUST be present at ALL of these training modules or you will NOT be certified or able to register with Yoga Alliance. If you have questions about what to do if you miss a weekend, then please click here. Our YTT 300 is a go at your own pace program! You can use the same application as the 200YTT to apply for this program. You only pay $100 to apply and then it’s pay as you go. Read below to learn more. This weekend will be an introduction to each other and the TT journey you have chosen to take. You will receive a syllabus and we will discuss course requirements, including at home practice, required reading, teaching evaluations and so forth. We will discuss the history of Yoga, the different lineages and where they came from. You will have an introduction to the Yamas and Niyamas as well as the Yoga Sutras. We will delve into some philosophy and breath work. The other main topic for this weekend will be the Ethics of a Yoga Teacher and what it means to be a Teacher and offer Yoga as a service to others. There is plenty of time for Q&A. You will leave this weekend with a clear understanding of what is required, how to proceed on the Yoga path and how to start offering Yoga to those in your community or even right at home. Getting to know the human body is an absolute for any qualified Yoga Teacher. During this weekend we will be discussing the bones, muscles, tendons and ligaments. You will also be introduced to the Endocrine system. There will be plenty of opportunity to as questions as we will begin to discuss the anatomy and how it relates to Yoga postures. You will begin to understand how to link poses with the breath. Discussion and demonstration of applying anatomical and physiological knowledge to the poses, including the organs. Get ready for lots of Yoga. During this time we will discuss different methods of teaching. You will be introduced to mirroring your students, teaching from your mat, stopping for direct pose demonstration as well as how to begin the hands on adjustments when necessary. Each student will have the opportunity to practice the above methods of teaching and begin to discover that teaching method that works for you. During this weekend each student will be required to teach all of us FIVE poses linked together with breath. Again, plenty of time for Q&A as well as peer feedback. Another weekend with LOTS of Yoga. Here we begin to delve deeper into the teaching of Yoga postures and understanding how to provide adjustments in a mixed level class. Each student will teach the entire group at 15 pose Sun Salute with a Pranayama (breath) practice of their choice. We will talk about and evaluate tone of voice, posture variations and modifications as well as the hands on adjustments. There will be question and answer time during as always. This weekend will have a daily group practice that the Lead Trainer will teach while several students have the opportunity to assist and adjust the others during practice. Again, expect to do a lot of Yoga. Discussion of techniques of sequencing and how to manage your time in class by understanding what you are teaching. Discussion and practice of teaching principles such as assisting while continuing to teach, pausing the class for a demonstration and correcting any alignment issues that a student might have during a class. Introduction and discussion of Non Violent Communication towards ourselves and others. Some time will be spent on how to assist specific needs of people in a class without losing the attention of others in the room. Here you will begin to establish a boundary of your own expectations and ego so that you do not place YOUR ego on THEIR practice. We will spend some time here also discussing the liabilities as a Yoga Teacher and a Yoga Studio owner. Information will also be given to you about how to create a liability waiver and discuss how and where to get insurance for Yoga Teachers and/or Yoga Studios. We focus on breath, alignment, anatomy, Mantra introduction as well as Meditation. We will weave all that you have learned so far into a 30 minute practice. Each student will teach the entire group and then we will take feedback. You will be required to provide hands on adjustments and offer several variations for different level students during your 30 minutes of teaching. The Lead Trainer will teach THREE 60-90 minute sequences throughout this weekend that will allow the students to observe the techniques taught, variations and adjustments offered. Students will have the opportunity (after the Yoga practices) to ask questions about sequencing, adjustments, variations, breath and Mantra that the Lead Trainer used during the group practice. We will discuss firm touch versus light touch and what feels right during the hands on adjustments. Introductions to slow flow, Yin Yoga and Restorative Yoga. A discussion of why these styles of Yoga are some important. There will be student teaching in groups during this weekend. We will review breath (pranayama) techniques, Mantra and Meditation. Each student will be required to teach a slow flow with one Yin pose that is a total of 15-20 postures. All students will also be teaching a Restorative sequence of FIVE poses. Each day during this weekend the Lead Trainer will teach a slow flow with Yin poses and/or a Restorative class with Meditation. This is it. You will have the written Final exam and Final Yoga Sequence presentations. One on one discussions with the Lead Trainer, including your written final exam. After everyone has had their one on one conference, all students will have time for question and answer. Everyone will also be given information on how to register with Yoga Alliance. You will receive your certificate of graduation and we will have a celebration! The following list is the required reading of the North Georgia Yoga Center Yoga Teacher’s Training Program.